John Penn was the older son of Richard Penn the elder and the grandson of Pennsylvania’s founder, William Penn. After his elders forced him to repudiate his youthful marriage to the daughter of James Cox of London, he was sent to study at the University of Geneva from 1747 until 1751. His education complete, young Penn spent the next few years in Pennsylvania, serving during that time as a member of Philadelphia’s Common Council. In 1755 he left America to spend time in England. In 1763 his father Richard Penn and his uncle Thomas Penn, as proprietors of Pennsylvania, commissioned John Penn as lieutenant governor; at that time he returned to America, bringing along with him his brother Richard Penn the younger. When Richard Penn the elder died in 1771, John Penn returned to London to take over his proprietary inheritance. 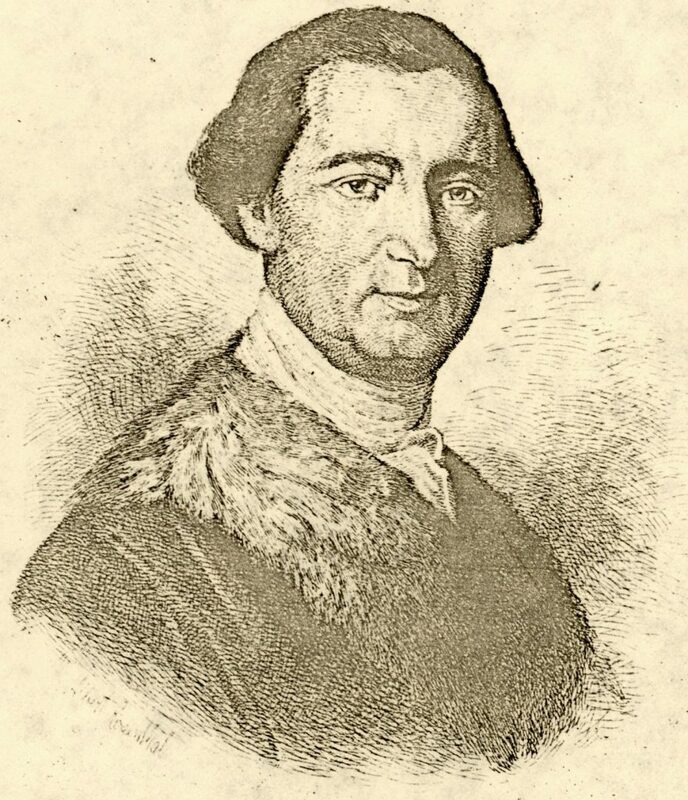 During John Penn’s two year stay in England, the Council and then his brother Richard Penn were in charge of the colony, but in 1773 John Penn returned to serve as lieutenant governor of Pennsylvania until the American Revolution. During his time as lieutenant governor, John Penn enjoyed the respect of most Pennsylvanians. When the Revolution came in 1776 he was briefly held prisoner on parole, but was never convicted. By an act of the Pennsylvania Assembly in 1779, Penn’s manors and estates were returned to him and he was paid a sum as compensation for the loss of his inherited right to one quarter of Pennsylvania. In 1764 John Penn was elected a trustee of the College and Academy of Philadelphia (now the University of Pennsylvania), and served as that board’s president from 1764 to 1771 and then from 1774 to 1779. At that time the college’s relationship with the proprietors ended. The new state government established a new board of trustees for this institution as the University of the State of Pennsylvania; in 1791 the College of Philadelphia and the University of the State of Pennsylvania would be united as the University of Pennsylvania. Penn lived out most of his days at his country estate, Lansdowne on the Schuylkill. A longtime member of the Church of England, he was buried in Christ Church cemetery in Philadelphia.